Hi Shimmerz Fans! 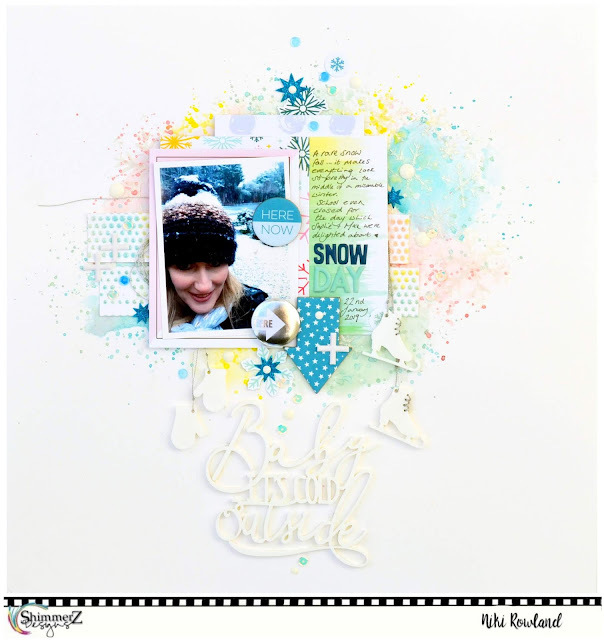 Niki here today and I have a cold, wintery, icy layout to share today. I almost always put a border around the edge of my layouts but for this one I decided to stick to mostly white so I have a super white background to do justice to the snowy photo. 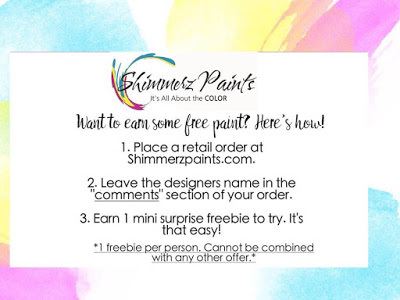 Pool Me Close Shimmerz, Lemoncello Shimmerz, Pink Champagne Creameez and Freshly Minted Inklingz. Once I had applied the paint to the background, I added splatters of the same colours to make my background a bit bigger and also to get some small dots of intense colour. I then used a snowflake stencil and added white snowflakes using the very gorgeous Spun Sugar Dazzlerz. I also mixed the same colours I used to create my water colour effect background, with Spun Sugar Dazzlerz, so that I had a texture paste in each of the same colours. I then pushed all the colours through a dotted stencil onto a separate piece of white card. I overlapped the colours in some places so that I got a two tone effect. Once dry I cut this into strips and used it as part of my photo cluster. I built my photo cluster onto my mixed media background. I added tangles of silver thread and I used cute ice skates and mittens Perspextives by Bramble Fox. I also added a title 'Baby it's cold outside' Perspextive underneath my photo cluster. Here's another look at the completed layout. I finished off with a few small embellishments (oh and that massive blue arrow I've had for years!) and fussy cut some snowflakes from patterned papers. I added another small title using alphabet stickers and handwrote my journaling above it. Thank you so much for joining me today. I hope you've enjoyed my cold wintery layout...let's hope there is some warmer weather coming soon!